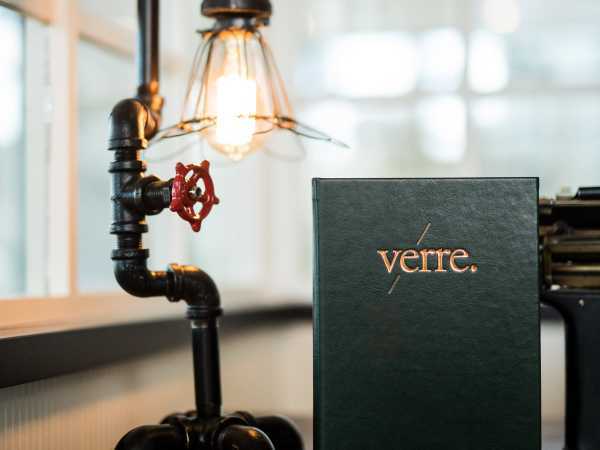 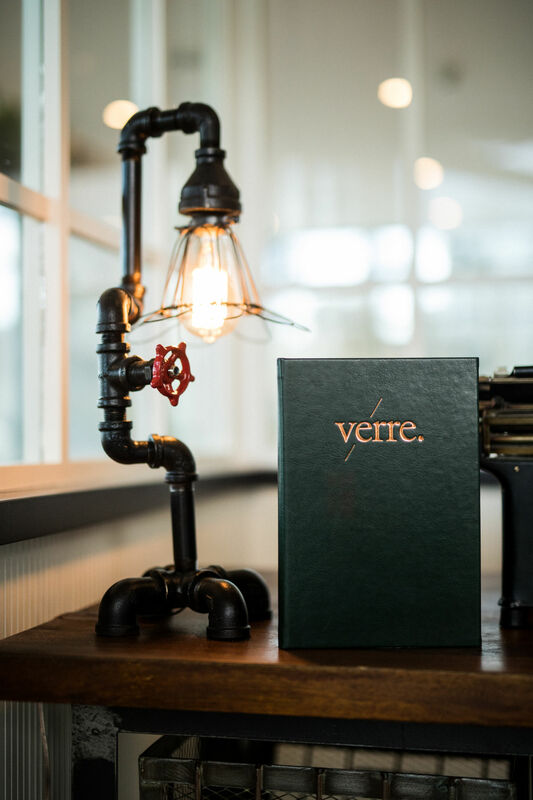 Verre takes its name not only from a drinking vessel, but also Douglas Coupland’s “City of Glass” moniker for Vancouver, and (most importantly) from the jewel-box design of the 3,300-square-foot dining room. 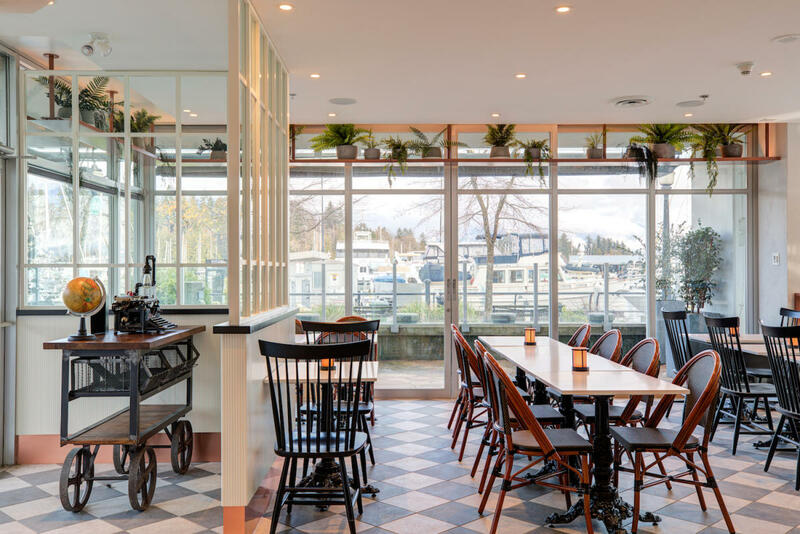 A clear glass wall allows prospective diners uninterrupted views into the kitchen before they even step foot inside. 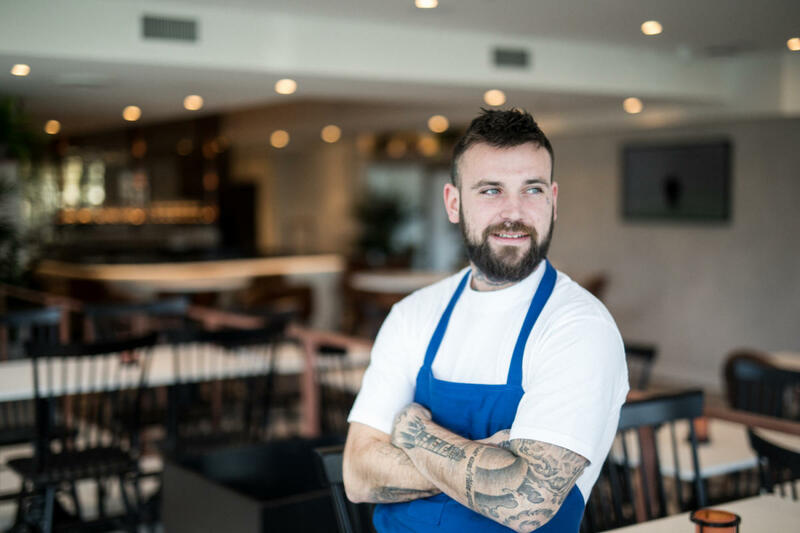 Conceived and executed by the team at Fusion Projects, the sleek and soigné interior reflects chef Liam Breen’s far-reaching menu where French classic and Mediterranean come together with élan paired with a sophisticated cocktail program. 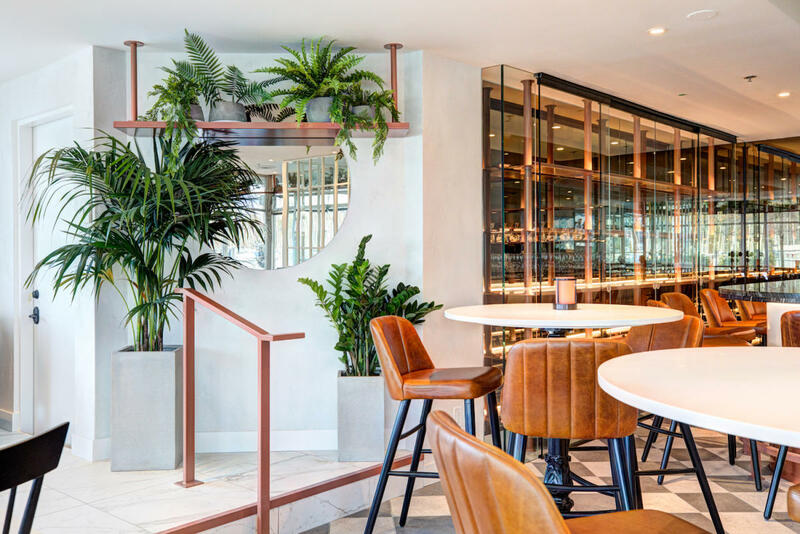 The focal point of a smoked-glass and black-marble bar is nestled alongside a Mediterranean-inspired impasto stucco feature wall. 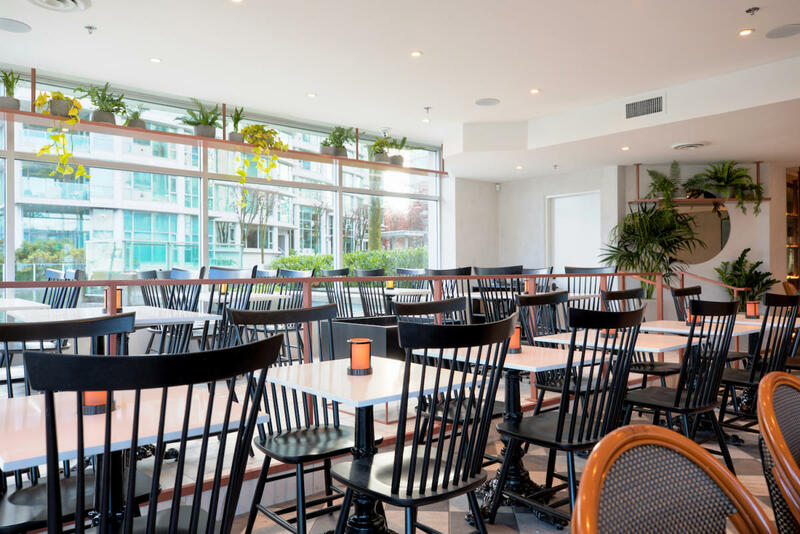 Works by Vancouver-based artist Max Bryan offer a playful counterpoint to the dining room’s three full walls of glass, with breathtaking views of Coal Harbour and the North Shore Mountains. 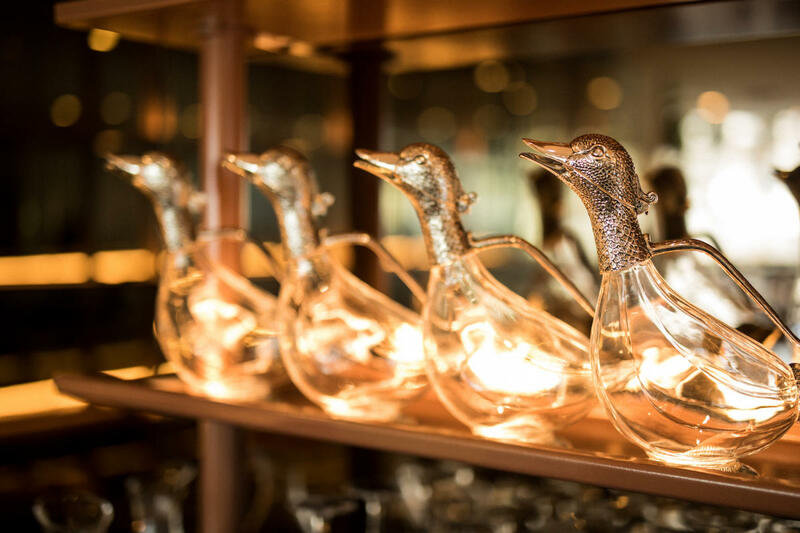 Completing the space is a 300-bottle wine rack of copper, bronze and (of course) glass to house the restaurant’s rotating collection of new and old world wines.